2. Mini Dungeons. You also get a ton of Mesos grinding here. Easily 150-200k per half hour run. Which is a solid 400-800k Daily. Turn on your guild's meso drop skill, it lasts for 3 hours. When selecting the mobs in mini dungeon select the highest level mobs that you can one shot. This will get you more mesos and the amount of pots that drop should keep you stagnant on HP pots. Equip a skill that uses the least amount of mana but still one shots the mobs. This is to use the least amount of mana pots. Turn on auto battle (but don't force close the app unless you want to shred through pots for no reason). Auto battling makes the mobs drop extra equips. Getting more equips is another possibility of making more mesos. Especially if you pick up max stat weapons! You can upgrade your fever to give you a meso drop boost among other things. It fills up quickly in mini so use it as much as you can. Only do 30 minutes at a time. This gets your guild more exp! This is also an efficient way to get Maple Leaves. 3. All things Trade Station. There is some serious money to be made on the Trade Station by selling any items you don't need. If you have any spare weapons or armor lying around, you can put them up in the Trade Station and wait for someone to buy it. You can sell the item at any price, so if you're really low on money, you can dump a heap of items and price them reasonably lower to get more sales in MapleStory M.
4. 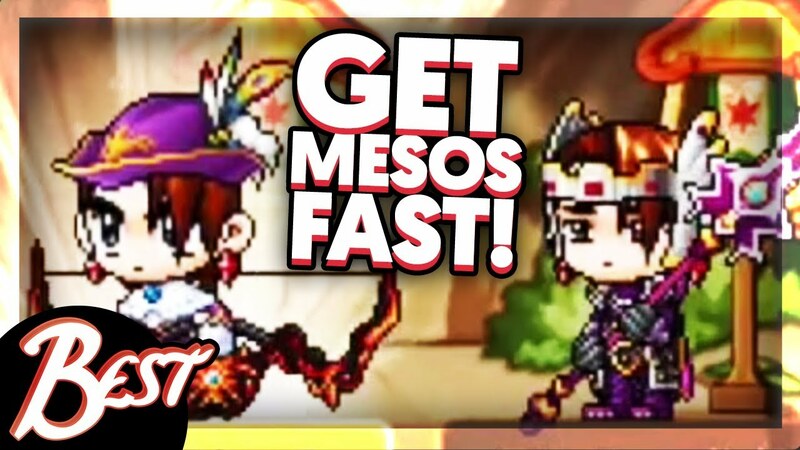 If you don't want to spend many time to make mesos, the quickest and best way to get MapleStory M Mesos is to buy US, EU, AS server Mesos from U4gm. U4gm is a trustworthy seller. We do our best to provide the best service and help you solve your problems with the game so that you can enjoy MapleStory M thoroughly.